Do you ever go to your email list, look at the number of subscribers you have and start to wonder why your email list isn’t growing? I mean, you created the perfect email opt-in! You promoted in on a few pages and even added it to your footer. But it doesn’t seem to be doing anything. When I started my email list, I thought all I had to do was add an opt-in in the sidebar and footer of my website and email subscribers would start trickling in. I had great content on my website! Why wouldn’t they want to sign up for my email list?! The obvious answer: because there wasn’t anything amazing and beneficial in it for them. 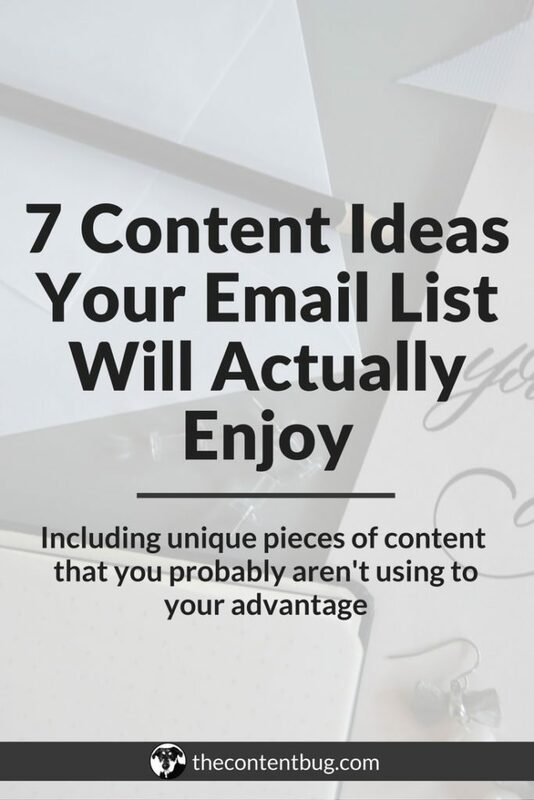 So if you want to learn how you can create better free resources that are guaranteed to get people to sign up for your email list, then keep reading. When I started my email list, I knew nothing. That’s basically the way everything is when I get started. I just go for it. So I read a few blog posts. Discovered that I wanted to start my email list on ConvertKit. And I got started. My inspiration for starting my email list was XO Sarah. I read several of her blog posts, learned that she used ConvertKit and looked at what she did to capture emails. And the first thing I noticed was in her footer. That’s where her main email opt-in was. And it encouraged people to sign up for her email list to receive this certain free resource. So I created my own free resource: The 3 Things That Allow Me To Create High-Quality Content Each Week. And that was the main incentive to join my VIP Team. To say the least, it wasn’t very profitable. Not many people really cared to learn that information! And after 3 months of only have that 1 opt-in, I knew something had to change. And that’s when I decided to create 5 new free resources to place around my website for people to download. In just 2 weeks, those resources were live and my email list started to boom. I went from generating 10 new subscribers a month to over 100 subscribers in 1 month. 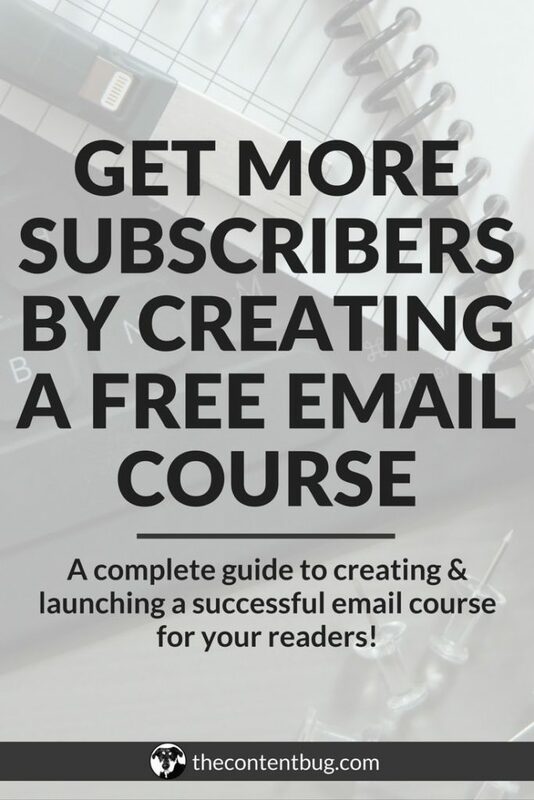 So take it from me… it is possible to generate more email subscribers than you are right now! You just need to have the right resources on your website to do so. Now, before you get too far, there are a couple of things that could cause some freebies to be more successful than others. There are so many different types of freebies that you could create. Depending on your audience, they might like a specific style of freebie better than others. If you have a fast-paced audience, they may enjoy freebies that are straight to the point instead of long drawn out guides. But the important thing to remember is that each audience is different! And that’s why you need to look at your stats and see what style works the best for your specific audience! And then use this information to your advantage to create more free resources of the same style. If you promote 1 free resource on every social media channel and decide not to promote another free resource anywhere but your website, it’s pretty obvious that the first one is going to perform better. That’s why you can’t always just rely on the style of the freebie as the excuse for a freebie not being profitable! You also have to look at your promotion strategy and where you place the opt-in for the specific freebie. The best way to create successful free resources is to design them around already successful blog posts. And we’ll talk about how to do this in a bit. So if you have an opt-in placed on your most visited blog post, you’re more likely to get people to sign up for that opt-in compared to any other one on your website. As long as it makes sense in relation to the blog post that it’s associated with! You could have an absolutely amazing freebie but if it isn’t being seen by anyone, then it’s not going to generate subscribers! Now it’s time to get to the good stuff. 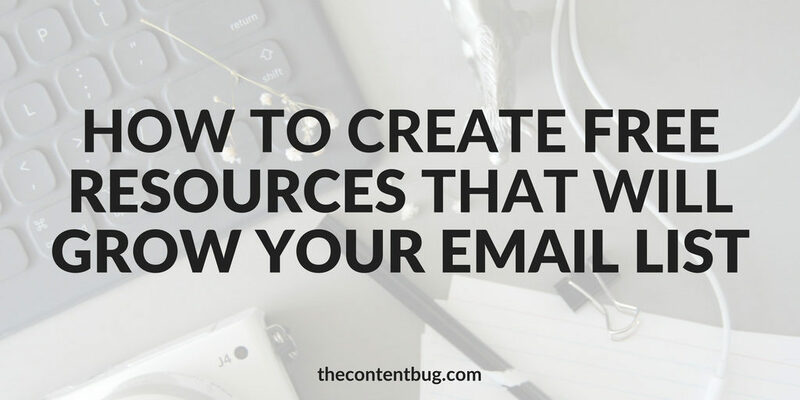 How you can actually create resources that bring in subscribers. Creating the resources is the easy part. It’s the brainstorming and figuring what to create that makes it so difficult. So let’s walk through the steps you have to follow if you want to create free resources that will actually generate subscribers. For this blog post, I really feel like I shouldn’t have to say this. But I’m going to. If you want to grow your email list, then you have to have an email list! And I 100% believe that ConvertKit is the way to go. It’s easy to use, allows you room to grow, provides all the fancy features that many other platforms don’t, and gives you the opportunity for customization every step of the way. If you are completely new to creating freebies, then you can go right ahead to #3 because this step is pointless for you. But if you have been creating free resources for a while now and you can’t seem to figure out why they aren’t profitable, then this step is extremely important. The first thing you need to do is make a list of all of the freebies you currently offer on your website. Then look at your stats and see what opt-ins perform the best. You’ll have to get creative on the step and really think about each freebie. You may notice that your checklists perform better than your guides. Or you may notice that one topic always seems to generate subscribers where another topic doesn’t seem to generate any. This will help you to narrow down some details of what works and what doesn’t work with your audience so you can create the most profitable freebies in the future. If you get anything from this blog post, let it be this tip. Have you ever heard of content upgrades before? In the email marketing world, it’s a pretty big deal. And it’s a term you’ll see in just about every article on email marketing. So let’s say someone reads your blog post and wants to learn more. That’s where your freebie comes into play by providing more information in exchange for their email address. 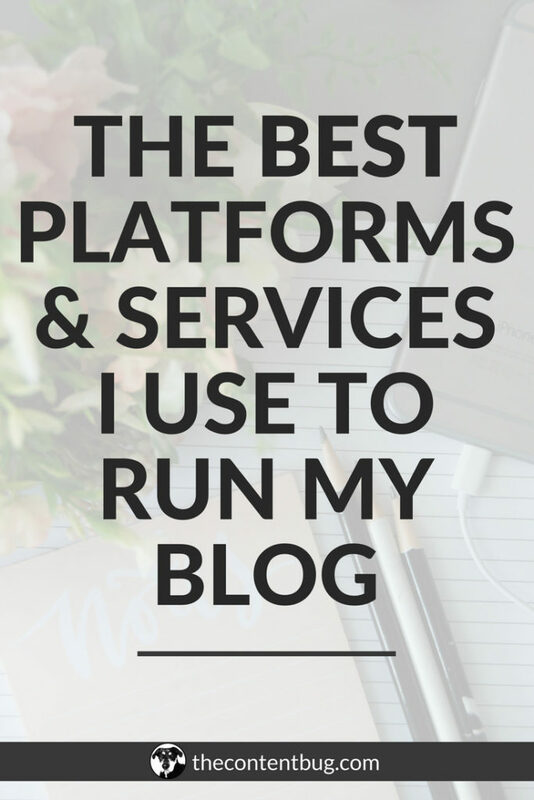 And if you want to start generating more subscribers, then you need to capitalize on your most profitable blog posts! Before you even start brainstorming ideas for freebies, head over to Google Analytics. On the left-hand side, you’ll see an option that says BEHAVIOR. When you select that, a drop down will appear. Then select SITE CONTENT, ALL PAGES. This is where you can see what pages on your website receive the most traffic. Once you figure out what blog posts seem to be doing the rest, write them down! We’ll need them in the next step. With your most visited blog posts by your side, it’s time to finally start brainstorming ideas for the free resources you could create. And the first place you’re going to start is by looking at those blog posts. For the longest time, my most visited blog post was about how I grew my Instagram followers by over 1,000 people in 1 month. And I did nothing with that information. I went on creating random freebies for other blog posts. Dumb mistake. A few months went on and I realized that I should create a freebie to capture all of the people that were visiting my Instagram blog post. So I created the 30 Day Instagram Challenge. And to this day it is my most successful opt-in with the most subscribers generated! So take a look at the blog posts that receive the most page views. Then brainstorm what you could offer to your audience that would take that blog post 1 step further! 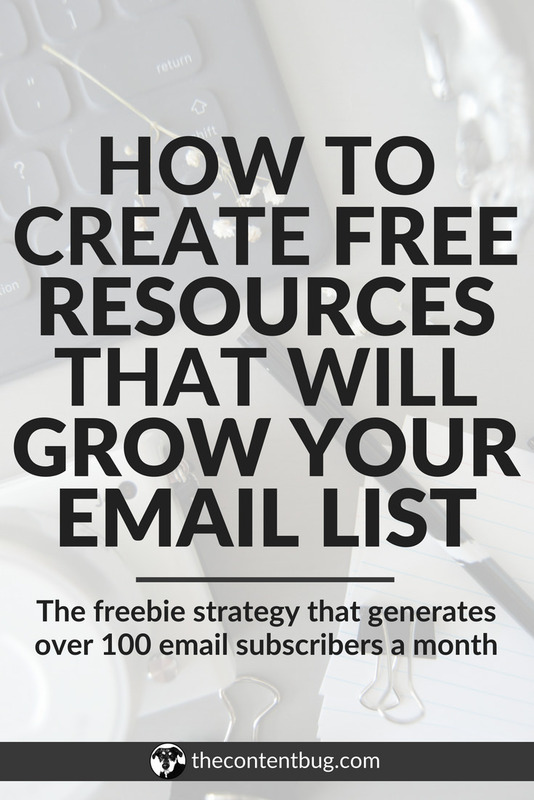 This is the secret sauce to creating free resources that will actually grow your email list. I’m telling you! When you create your free resource, you need to make sure that it’s as beneficial as it can be! You don’t want to create a resource like that first one I created it… In reality, that might have been a good blog post. But to be 100% honest, I don’t think that anyone cared! So when you create your freebies, make sure that they are actionable and helpful to the person that is downloading them. Now if you have no idea how to actually create a free resource, it’s much easier than you think! I use Canva to create all of my free resources that are available throughout my website and even more are available in my free resource library. When I was getting started, I created a general template that I wanted to use for each of the resources to make sure that they looked cohesive. And then I started filling in the information! Once the resource was created, I downloaded the image as a PDF, created an email opt-in and attached the PDF to the welcome email that people received once they signed up. I’m not lying to you… it’s that easy! Now that all of that is said and done, you still might be wondering where to place your opt-ins and how to make it as profitable as possible. And if that’s you, then I’ve got some news for ya. The Blog Biz Bundle includes a special lecture focused on how you can generate 100 email subscribers in a month. In that lesson, I share everything I did in just 2 WEEKS to set myself up for success to receive over 100 email subscribers. And ever since I generated my first 100 subscribers a month, I’ve received over 100 subscribers each month following. Sometimes, it’s not enough to just read blog posts. You really need the strategies that will take you where you need to go. To find out more information, visit the sales page. We covered a lot of information. But in reality, there is so much more information that I could give you. So for now, let’s go over the 5 steps you need to follow to create free resources that will grow your email list. Actually create the free resource! And that’s it from me today! I’ll see you in another blog post soon. BYE! Thanks for sharing this article. Very useful.